Windows 7 icons are stored within system32 dll files which you can extract with resource hacker like tool. 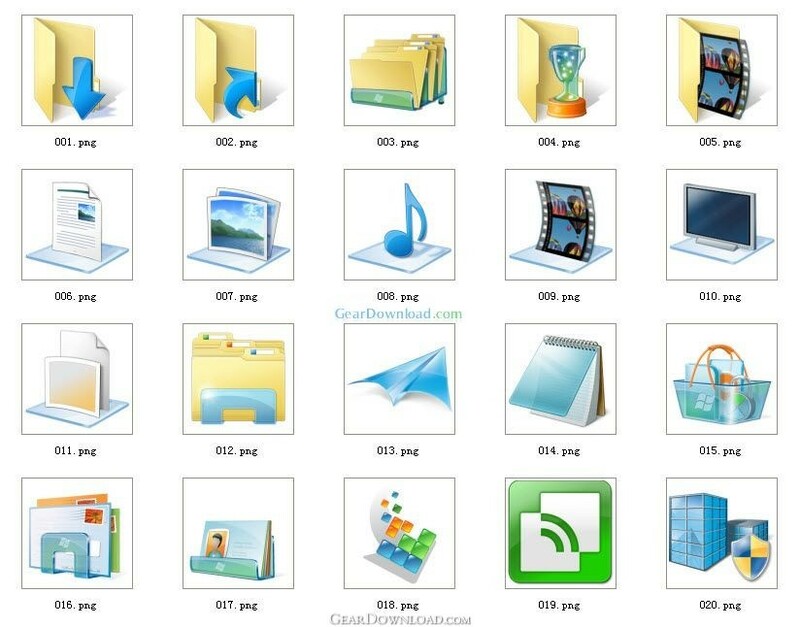 This 18 MB big Windows 7 icons pack contains 426 Hi-Resolution icons which are in PNG format. Each icon size: 256*256*32b. Please keep in mind that these icons are under Microsoft copyright. You need to be careful while using these icons. This download (Big Windows 7 Icons Pack.zip) was tested thoroughly and was found 100% clean. Click "Report Spyware" link on the top if you found this software contains any form of malware, including but not limited to: spyware, viruses, trojans and backdoors. Icon Craft 4.64 - Design professional looking icons with this fully featured icon maker. Medical Icon Set 3.8 - The SibCode Medical Icon Library is a fantastic set of medicine-related icons!